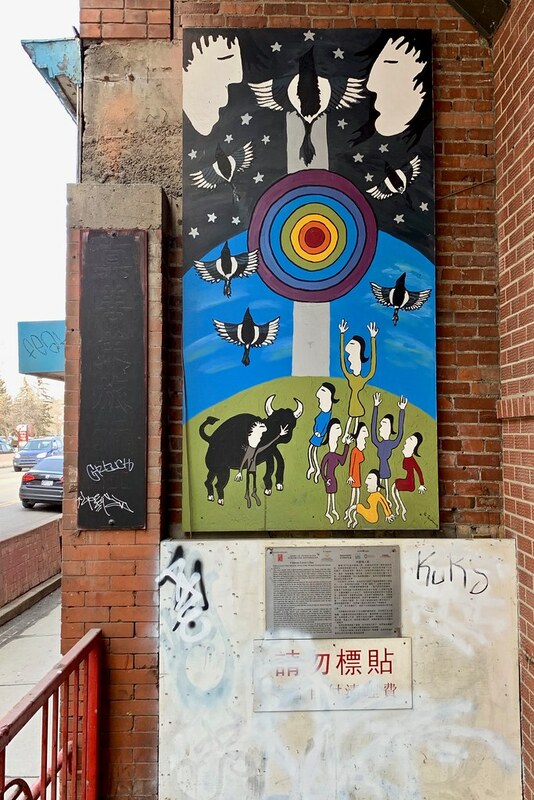 One of a few pieces of public art sprinkled around Calgary’s Chinatown. 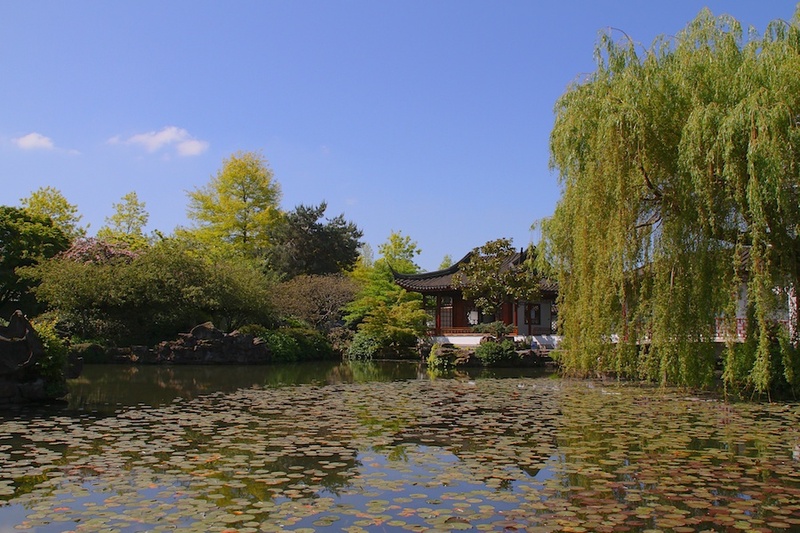 Reaching further into the archives: This is part of the Dr. Sun Yet Sen garden in Vancouver from a visit there in 2010. 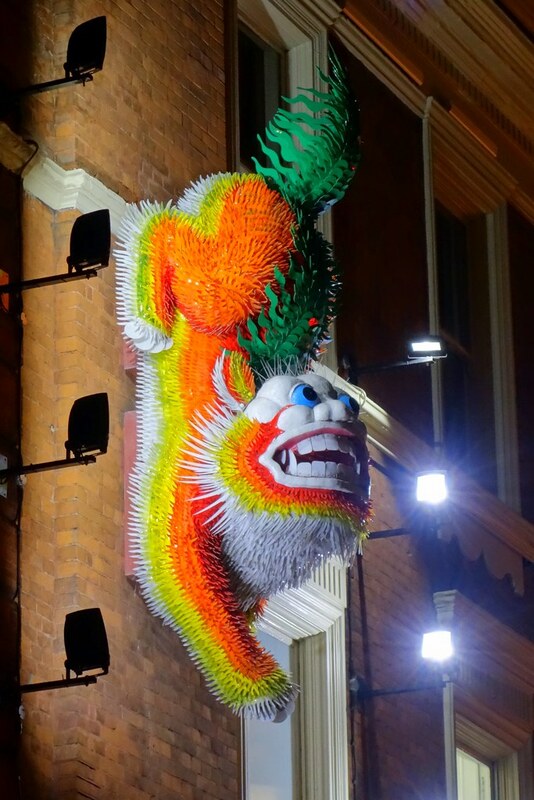 This ornament greets visitors from high above a street in London’s Chinatown. 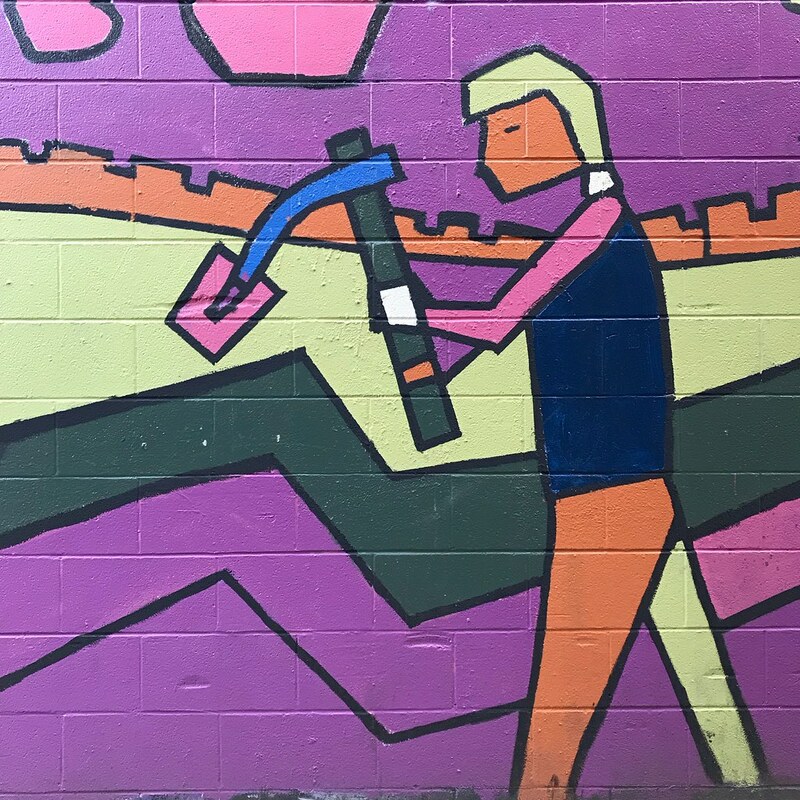 Seen on my visit there in September 2016. 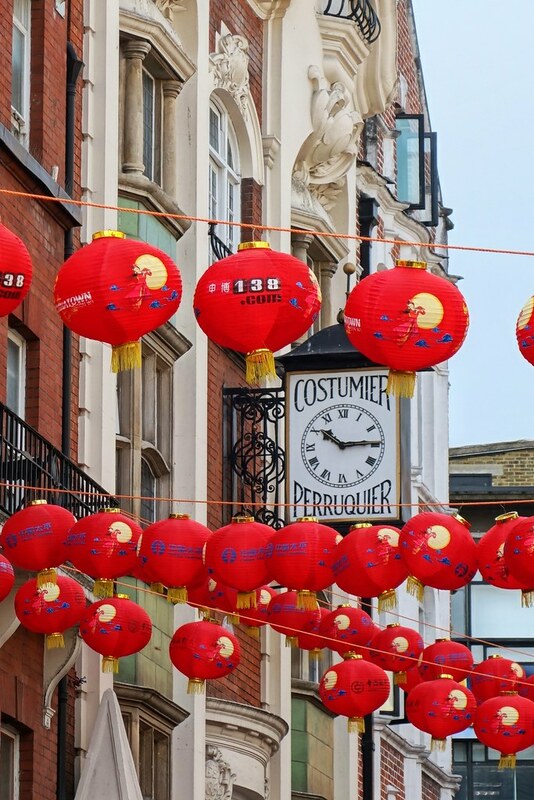 These lanterns hanging over the streets of London’s Chinatown add an extra splash of colour. Spotted this back in September 2016. 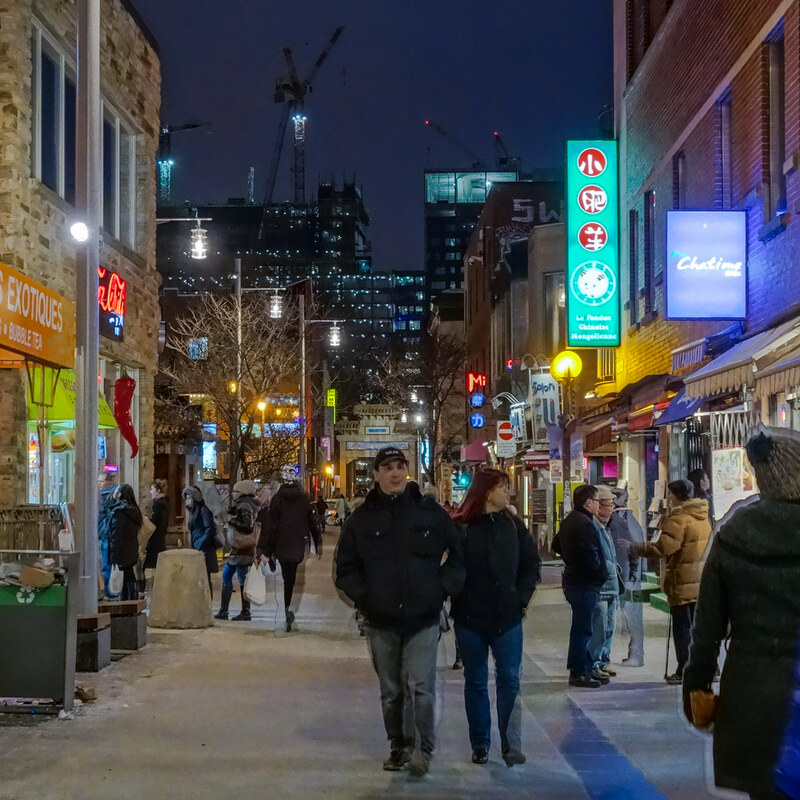 It was utterly shocking to turn a corner in Montreal’s Chinatown and see the new University of Montreal hospital complex (Centre hospitalier de l’Université de Montréal) rising high where there used to be only sky. I’ve seen it slowly built on my visits over the years but this is the first time the structure’s seemed so in-your-face. There’s a website for the new hospital, en français bien sûr! Reaching into the vault … this is one of the two gates welcoming people to Montreal’s Chinatown, as seen back in April 2012. 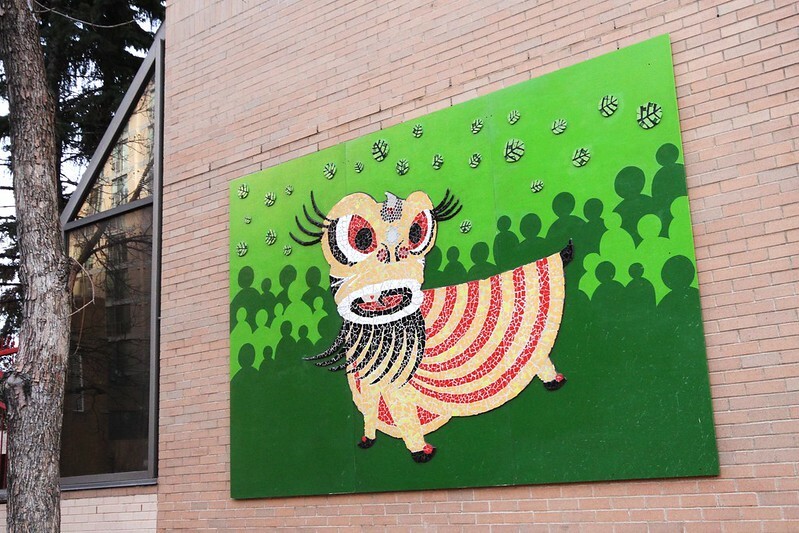 This subtle dragon lives on a wall in Calgary’s Chinatown. 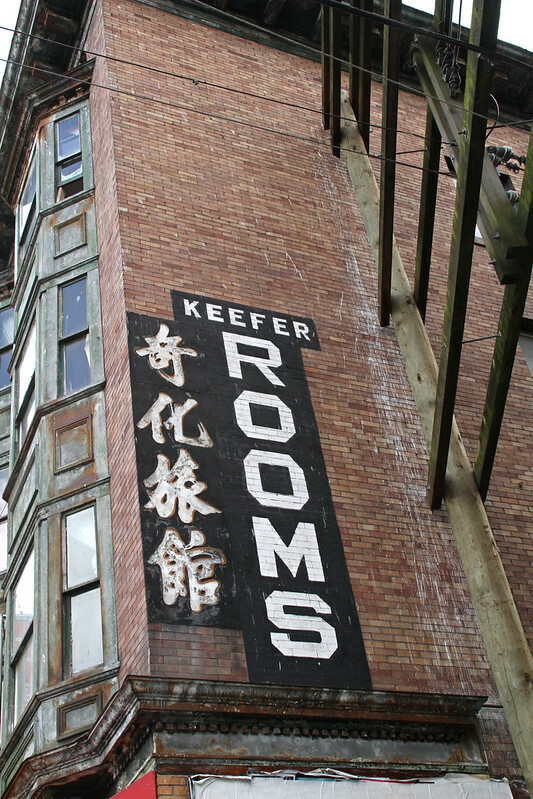 Those street names in Vancouver’s Chinatown were oddly familiar to me on my first visit in 2006, even though I’d never been there before. In a sense, though, I’d already been, thanks to a couple of novels by Canadian author Wayson Choy. 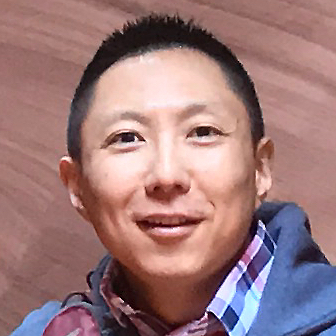 His portrayal of Chinese immigrants’ lives in early part of the last century gave a taste of what the neighbourhood would have been like. Things are not that way anymore, of course. 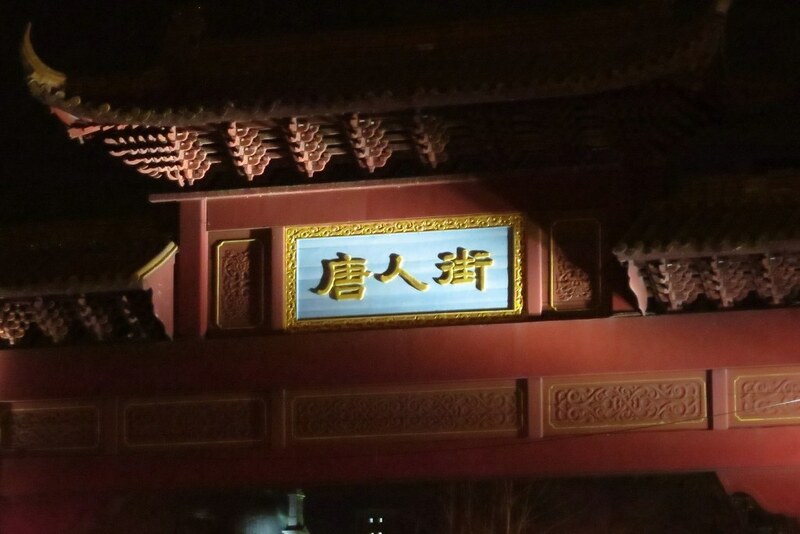 But the landmarks and the names are still there.